The Japanese are masters at a lot of things — innovation, technology, art. But the one thing they do best is create delicious food. Whether it’s wagashi, traditional confections, or a new take on a candy from overseas, Japanese sweets are always creative and delicious. Here are nine Japanese sweet treats that the rest of the world should know about. Momiji manju is a regional pastry from Miyajima, an island off of Hiroshima Bay. Manju consists of dough, flour, water, sugar, starch, and the filling, which are then boiled together. They look soft to the touch and are served cold. 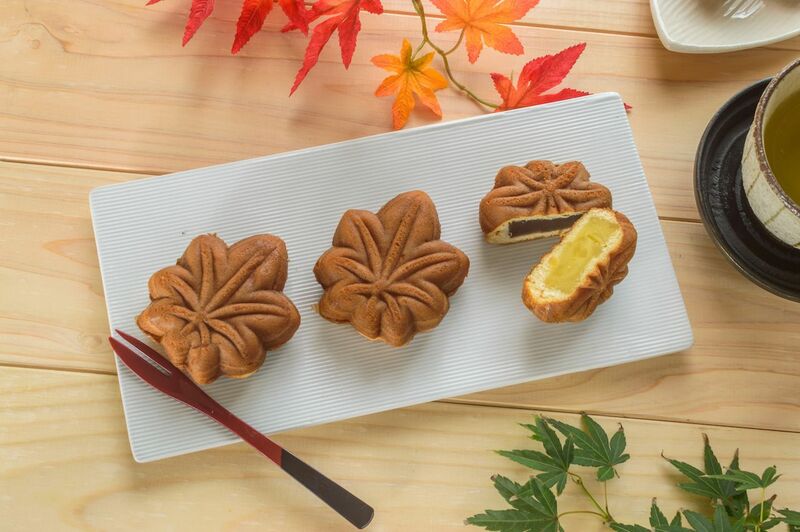 Manjus are typically round in shape but momiji manju is distinguished by its maple-leaf shape (momiji translates to “maple” in English). The filling varies, but options include red-bean paste, custard cream, cream cheese, chocolate, and matcha (green tea). 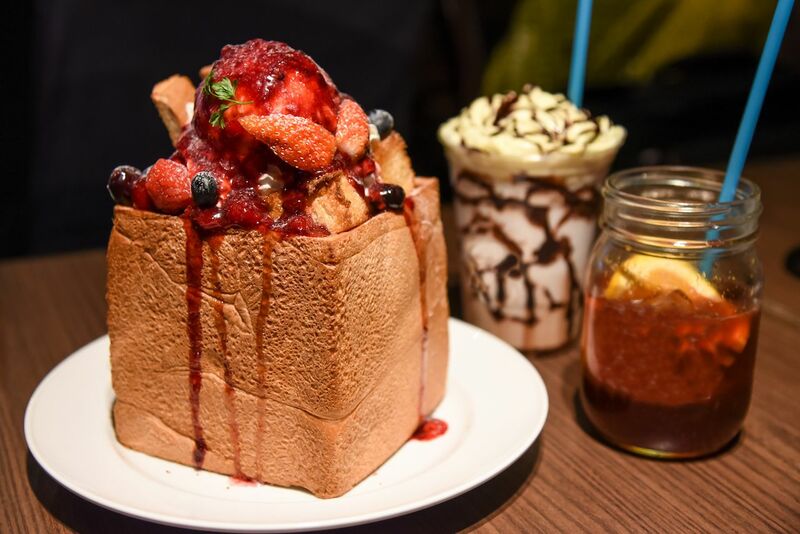 To make a honey toast box (also known as Shibuya toast), the top end of a Japanese milk-bread loaf is cut off, and the soft part is removed. The soft part is then cut into cubes and either fried or toasted in the oven. The loaf shell is toasted separately then both shell and cubes are slathered in butter. Once the cubes are put back into the shell, honey and condensed milk are drizzled over the top. Toppings and presentation vary from place to place, but it’s common to have whipped cream, ice cream, fruit, cookies, and candy on your honey-toast box. Because the concoction is quite filling, it’s traditionally meant to be shared between friends. 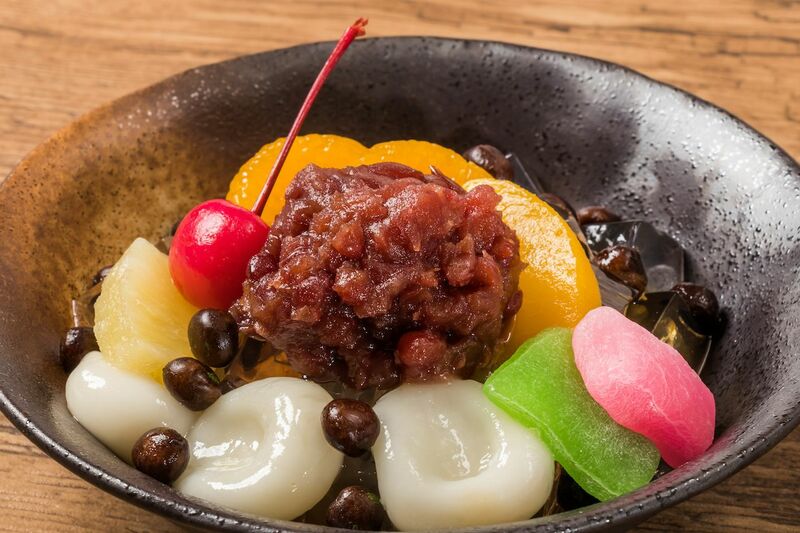 Mitarashi dango is a traditional Japanese dessert with an unusual flavor. Dango is a savory, round-shaped dumpling made from rice flour. 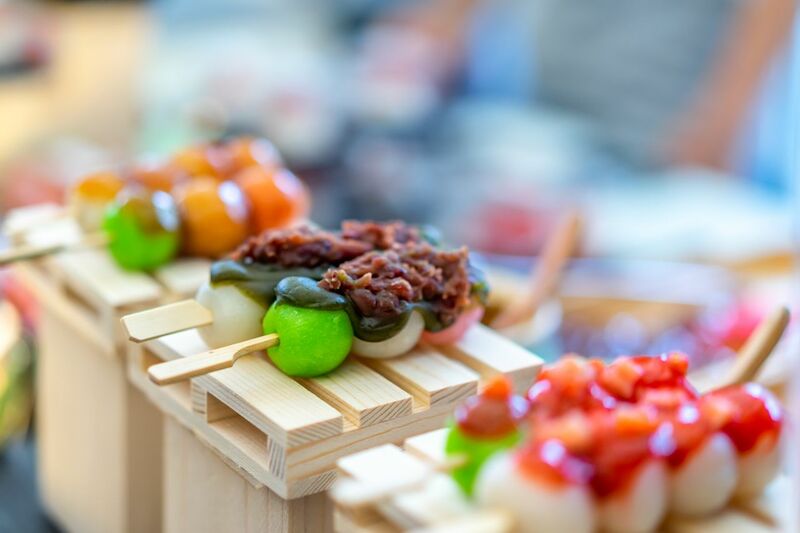 Dango comes skewered on a stick — typically in threes, fours, or fives — and can come in a variety of colors. Pink, white, and green are the most common, but they all taste the same. Mitarashi dango can be distinguished from other types of dango by the sweet, soy-sauce glaze coating the outside, which provides the perfect balance of sweet and savory in one bite. 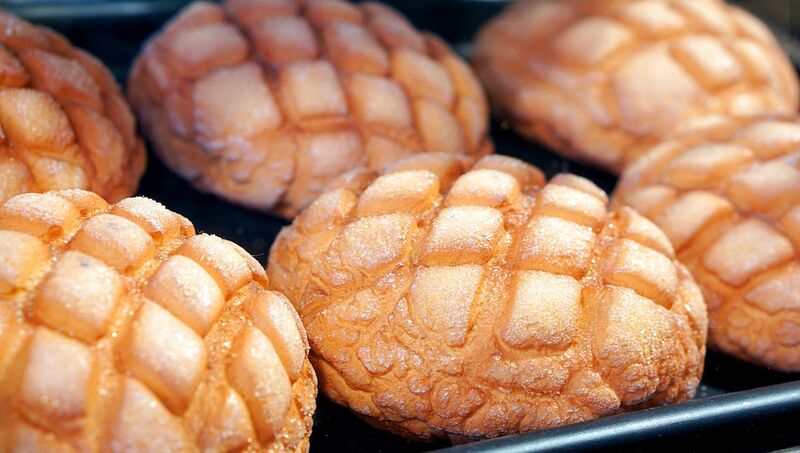 Melon pan is a type of sweet bun that originated in Japan, but its popularity has spread to other countries in Asia, as well as Latin America. Its name comes from its appearance resembling that of a cantaloupe. The top of the melon pan is a crunchy, cookie-crust layer that complements the sweetened, soft inside. It isn’t melon-flavored, but it’s becoming popular among bakers to add melon to the cookie crust. Variations do exist; sometimes chocolate chips or nuts are added between layers, and some have fillings such as flavored cream or custard. 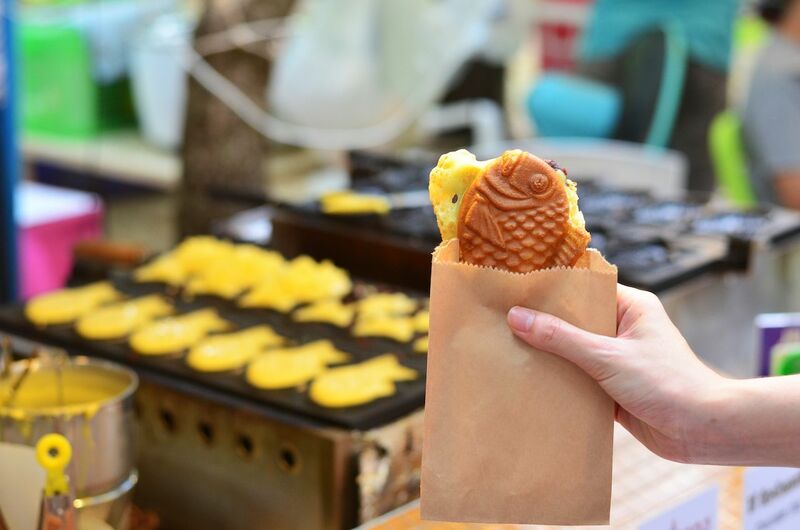 Taiyaki is a fish-shaped cake. The shape and name come from tai, Japanese red sea bream, which is a type of fish. The cake is made using pancake or waffle batter that’s poured into a fish-shaped mold. Two molds are used, one for each side; then, once a filling has been inserted, the mold is closed and put to bake until it turns a golden-brown color. The most commonly used fillings are red-bean paste and custard, though some people have been experimenting with potatoes, cheese, sausages, and other savory options. 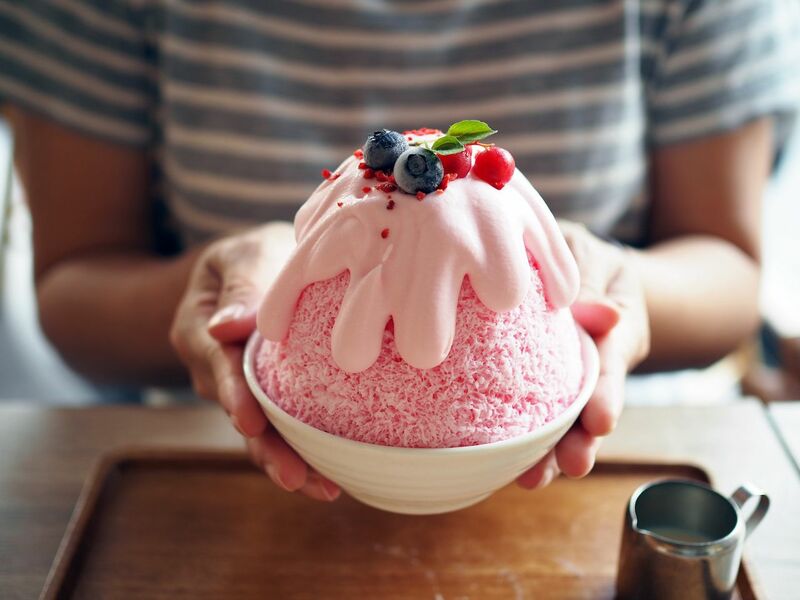 Kakigōri is shaved ice that’s flavored with sweetener, often condensed or evaporated milk. It’s similar to a snow cone, but kakigōri ice is a lot softer. You can get whatever flavor you fancy — strawberry, melon, grape, lemon, cherry, or vanilla. Good news for vegans or people just generally looking to avoid dairy — this one is for you. You can ask for kakigōri without the milk sweetener and try a non-dairy flavor like matcha, and even add toppings. The matcha kakigōri with sweet red beans on top is quite the experience for newbies to Japanese cuisine. Anmitsu is considered to be one of the main types of wagashi. A summer staple, it’s made with small cubes of agar jelly, which is white, translucent jelly made from red algae. Anmitsu is served in a bowl with red bean paste (anko) and it comes with a pot of black syrup (mitsu), that’s supposed to be poured over it. Also in the bowl is a variety of fruit and shiratama (mochi rice balls). If you don’t want the bean paste, then anmitsu becomes mitsunmame — instead of bean paste, you’ll get boiled peas. 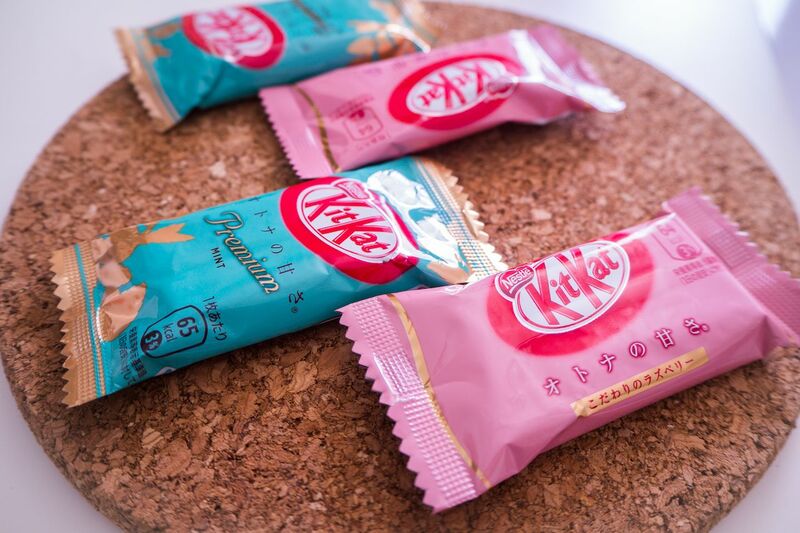 Kit Kats were first brought to Japan in 1973 when English confectionary company Rowntree went into business with Japanese confectionary company Fujiya. Japan does carry the original chocolate Kit Kat, but the Japanese have also invented over 300 new flavors, such as strawberry, grape, pear, matcha, citrus, strawberry cheesecake, blueberry cheesecake, shinshu apple, edamame soybean, rum raisin, purple sweet potato, chili, hojicha roasted tea, brown-sugar syrup, red-bean sandwich, cinnamon cookie, pancake, and wasabi. The Japanese have taken the standard parfait to the next level to turn it into a huge, over-the-top dessert. The typical parfait is served inside a glass and filled to the brim, but ingredients will differ depending on where you go. Whether the base is healthy (with fruit) or errs more on the indulgent side, the dessert is always loaded. A parfait can have nama kurimu (fresh cream), custard, entire slices of cake, anko (red-bean paste made from sweetened azuki beans), graham crackers, cereal, kuromitsu (black sugar syrup), mochi (rice cake made from glutinous rice), and more. Things you wouldn’t expect are thrown together to create something that is so wonderfully delicious it’ll make you want more even though your stomach is telling you to stop. 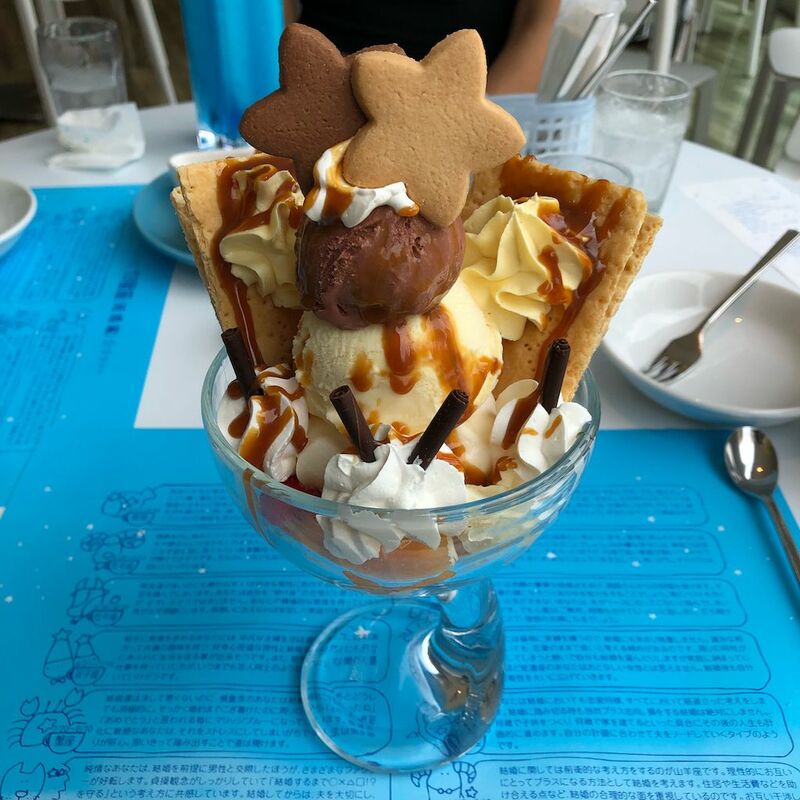 Some places even create themed parfaits, like the Milky Way Cafe in the Ikebukuro neighborhood of Tokyo, which has a decadent parfait for every zodiac sign.